Your precious documents are under attack right now. Whether you’re keeping business records, family records, client records, or documentation required by law, those documents are in a constant state of jeopardy. Law firms, accounting firms, energy companies, and other businesses that rely on documentation are at the most risk—for you, it’s more than a keepsake. It’s about your livelihood. Please note, as of 5-1-2017, we are only able to accommodate minimal orders of 300 boxes (two pallets) that include boxes, inserts and lids. Please contact us for special orders. 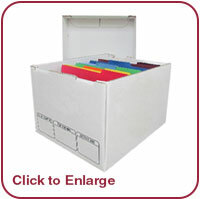 Do you happen to store those documents out of the way, perhaps in a basement, garage or local storage? Festering moisture seeps in, saturating the paper and allowing mold to grow and destroy what you intended to keep safe. And even if the area has a low humidity, minor disasters like flooding and burst pipes can destroy your entire collection with no time to prepare. Even if you don’t store your documents in a moist place, you may still have water to worry about. If you store your boxes in a room with a sprinkler, a fire in another part of the building entirely may still cause damage. Sprinklers that go off to prevent the spread of fire can do as much damage as the fires themselves. And in case the worst happens and a fire does spread, hoses and other methods of extinguishing a fire may still leave your materials soaked. Even with the rest of these worries in check, you might not know that most documents are in a constant state of self-destruction. The very ink used to create your important documents breaks down and easily becomes acidic when exposed to common stimuli, like sunlight. 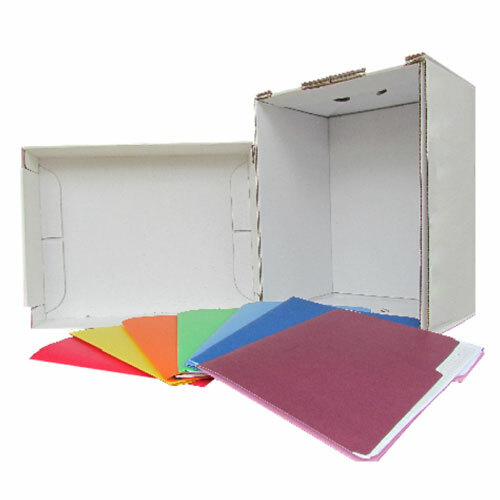 What you need is a dry, acid-free environment to store your precious documents in. 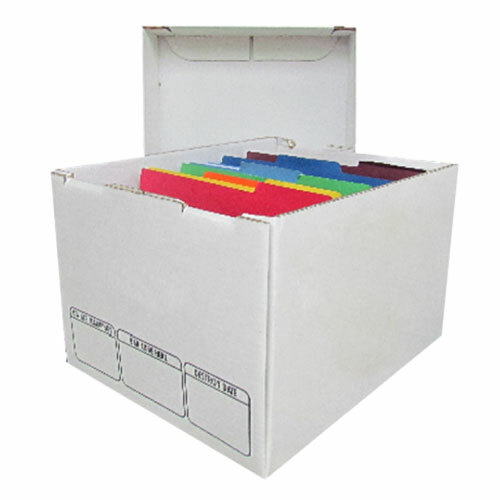 The SMART file box helps to keep your documents preserved. Forget about your worries about water damage and degradation, and embrace peace of mind. Acid Free & Water Resistant: The proprietary design and treatment is water resistant to repel moisture and acid free to prevent yellowing. Moisture & Water Penetration Resistant Construction: Prevents water penetration even from flooding and sprinkler accidents. 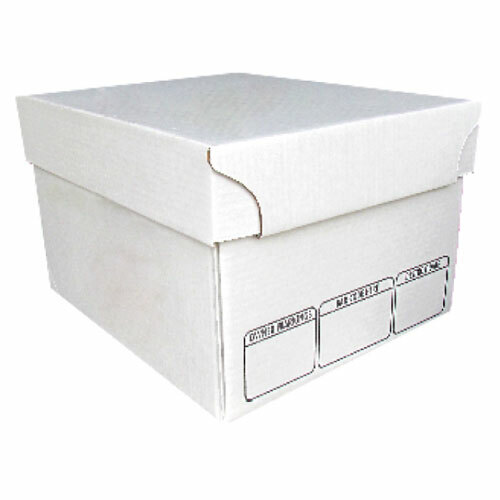 Breathable, Porous Design: Unlike plastic boxes that preserve moisture and mold inside, the porous design helps to expel mold and moisture that’s captured in the box. Certified pH Neutral with Buffer: Offers a safe, chemically neutral environment where document degradation is not accelerated. 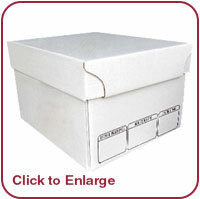 Easy Assembly: stores easily so that you can have boxes ready when you need them. Finished Size 15” x 12” x 10”: Suitable for most standard-sized documents. 100% Recyclable and Biodegradable: repulpable, Earth-friendly material doesn’t endanger the environment when its usability has run its course. Toss the box in your recycling when you’re done with it worry-free. Contact us today to place your order or for more information. Don’t leave your important family, business, and client documents in harm’s way!